When employees feel healthy and happy, everyone wins. One of the best ways to make this happen is by creating a healthy workplace culture. 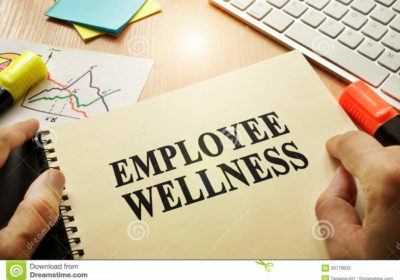 Workplace wellness programs have become commonplace in many companies as a way to attract and retain top employees while reducing overall healthcare costs. If you don’t already have a wellness program in place, here are 10 ways to improve employee wellness that you can start today. The key to a successful wellness program at work is making it fun. If employees aren’t engaged your wellness program will lose steam. Make your initiatives fun, try new ideas and ask your team for input. After all, it’s their health and wellness at stake. Whether you want to kick off a new employee wellness initiative or improve your existing wellness program, Wellness Wednesday is a great jumping off point. Create a new employee wellness challenge each week, bring in a healthy lunch, or encourage employees to share their successes on your company’s social media with #WellnessWednesday. Healthy snacks can help employees hurdle that midday slump, boost mood and energy levels, and even lead to improvements in overall health. Convenience is everything when it comes to eating healthier, so consider swapping out your junk food vending machine for a healthy vending machine provided by companies like HealthyYOU Vending. Supply the break room with fresh fruit and bottled water or become a member of a healthy snack delivery service. Invite local health and wellness companies to your office to talk about nutrition, do health assessments, provide exercise tips and share their passion for wellness. Many businesses now offer on-site gyms or partner with health clubs in the community to offer free or discounted memberships to employees. Work your way through the day by taking the stairs instead of the elevator. Encourage employees to set goals, such as climbing a mile (about 2,000 steps) to a marathon (52,400 steps). Then offer prizes as they meet each goal. Forty percent of employees say their job is stressful. Yoga and meditation are great tools for relieving stress before, during and after work. Instead of sitting in a stuffy office, take your meeting on the road. You just may be surprised by how productive your team can be with a little exercise, some fresh air and a change of scenery. Breaks are only effective when they’re taken. Encourage employees to step away from their desk and recharge. Breaks reduce eye strain, lower stress levels, and give employees a chance to refuel. It will be 15 minutes well spent. A flexible work environment allows employees to operate in the way that is best for their health. This can mean an adjusted start time, a shorter work week or the opportunity to work from home occasionally. Employee wellness programs can help improve lifestyle choices and even encourage employees to maintain their healthier lifestyles for life. By making small changes in the workplace and providing health and wellness resources, employers can create a healthier environment for all employees.